Nestled between the mountains and the sea, Kobe is a modern urban center set amidst a rich natural environment, located in Kansai, the southern-central region of Japan’s main island, Honshu. It is the capital city of Hyogo Prefecture, and has a long history as an international port city, having developed as a gateway for goods and people from overseas. Kobe is near Japan's most well-known historical treasures in Kyoto, Nara, and Himeji, as well as just 40 km from Osaka, the nation's second largest metropolis. The Kobe International Conference Center was built as the central site of the convention facilities in Portopia, a manmade island and the world's first offshore cultural city, easily accessible by train, car, or by air. From Kansai International Airport (KIX), take "Bay shuttle ferry", a high-speed shuttle boat service (Operating time from 6:20 AM (from KIX) 5:30AM (to KIX) to 23:50PM (from KIX) 22:45PM (to KIX), every 45min-60min, approximately 30min ride) to Kobe Airport (Kobe Airport is a domestic airport). At KIX, follow the sign "Ticket for Highspeed Boat". The ticketing counter is located at central travel desk and also at the north end of the KIX international arrival floor. Purchase a ticket to Kobe Airport. You need to take a connecting bus which will take you to the pier. From bus stop No. 12, take "Kobe-Kankyu BAY SHUTTLE" bus. Destination is "Ferry Terminal". From Kobe Airport, take "Portliner" to access Shimin Hiroba station where the conference venue is located. Fee from Kobe Airport station (P09) to Shimin Hiroba station (P06) is JPY250 one way. From Sannomiya Station, take "Portliner" to access Shimin Hiroba station where the conference venue is located. Fee from Sannomiya station (P01) to Shimin Hiroba station (P06) is JPY250 one way. 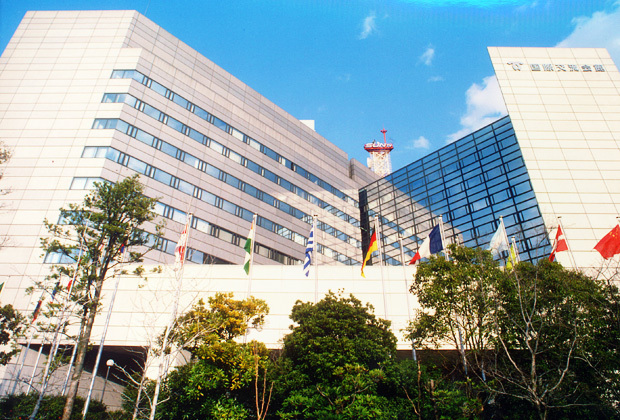 For more information, visit Kobe International Conference Center website.